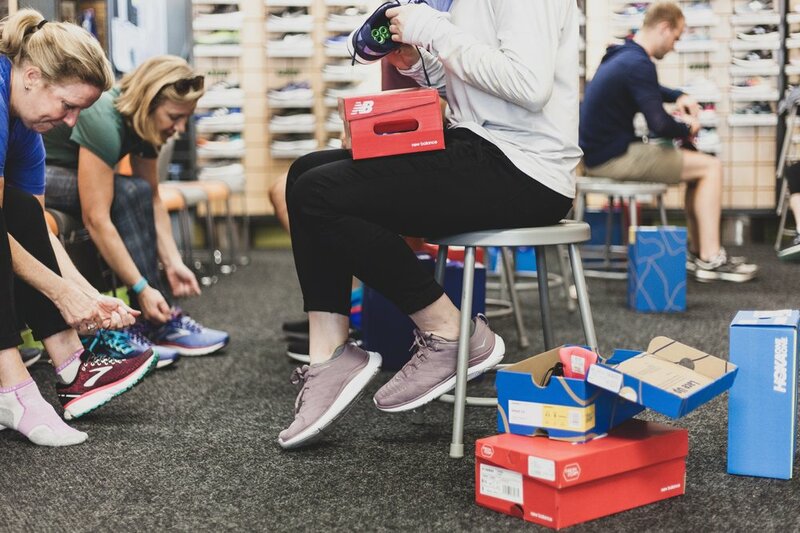 This guide is intended to help you through the process of buying shoes at Super Jock ‘N Jill, tell you what to expect at our store and address a few common questions. That being said, it is still just a guide. Every customer and every experience is individualized and unique. After the initial gait analysis we will bring out several recommendations of potential shoes. In order to sort through these various options we send you out the door and have you walk, run, or jog up and down the hill on the side of our store. The goal is to find a shoe which you do not notice very much on your foot, one which feels natural, smooth and comfortable. We are committed to finding the right shoe for you. When you purchase a shoe from us we encourage you to use it as you would (not just inside) to make sure it works. Shoes often feel better after they are worn a few times, so using them 5 or 6 times will usually give you a better idea how they will feel. If they aren’t working for you we encourage you to come back. From extremely minimalist to maximally supportive, we have all types of shoes at Super Jock ‘N Jill. Our inventory is hand selected by our buying team in order to get you the very best options from each brand at the best value for your dollar.